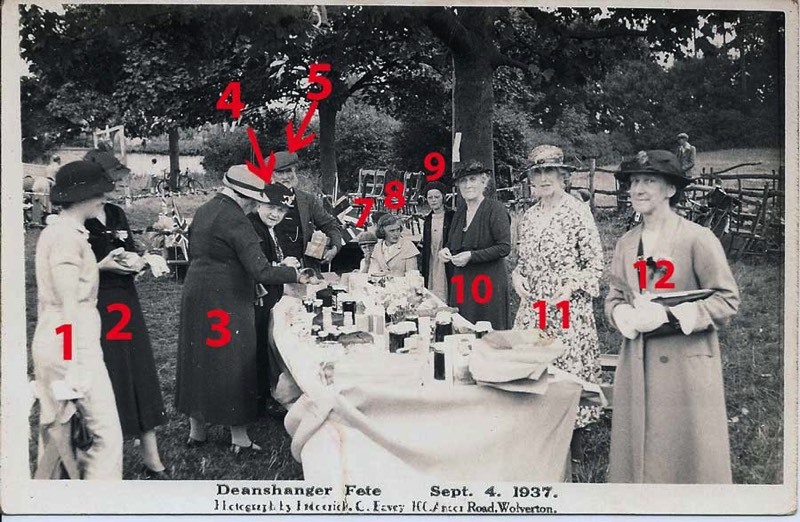 Here are three photos that the Roberts family took of the Deanshanger village fete on the 4th September 1937, I do not know how many they had turned into postcards ?. I need to get as many names down as possible before everybody forgets. 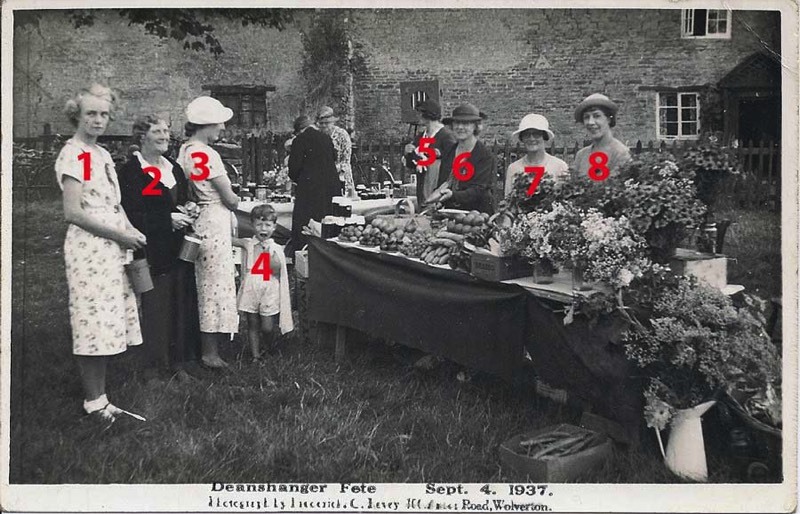 My uncle Harry canvin is in one of the pictures and he remembers the fete well and hopefully will name a few people. I have put a number by the prominent faces in the photos for easy naming , please just email me with the picture title and person number and I shall name them, I will also give you a credit on the site. Many thanks to the following.